Picking up where After Car Accidents: 6 Important Steps to Take (Pt. 1) left off, here we will carry on our discussion of essential steps to take after car accidents in order minimize potential headaches with insurers when it comes time to file and resolve an accident claim. Step 3 – Get info from the accident witnesses. Whether other drivers pull over after the accident or you/other motorists involved in the collision had passengers riding in the vehicles, these witnesses can provide crucial information regarding the events that occurred immediately prior to the accident. 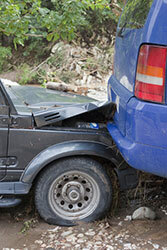 Therefore, make sure to collect specific information from each witness – include each person’s full legal name and contact information (you can provide this info to insurers when you report the accident, as insurers will likely want to talk to each of the accident witnesses in the course of their investigation). It’s important point out here that this info may also be provided in the official police report for the accident; however, don’t wait for (or exclusively rely on) this report, and get this info yourself if and when possible. Step 4 – Photograph the damage caused by the accident. Helping prove who may have been at fault for causing the collision. You don’t potentially lose them if anything happens to your phone. You have these pictures easily available at any point in the future. Don’t miss our upcoming conclusion to this blog for some final thoughts on what to do after car accidents in order to preserve your rights to compensation. Have you been injured in a traffic accident? If so, Denver Car Accident Attorney Jennifer Bisset wants you to know that she is here to aggressively represent your rights and help you obtain the compensation you need and deserve. All of the experienced legal professionals at the Bisset Law Firm are committed to providing each of our clients with the highest quality legal representation, keeping each of our clients informed at every stage of their cases and, ultimately, helping them obtain the best possible results for their cases.